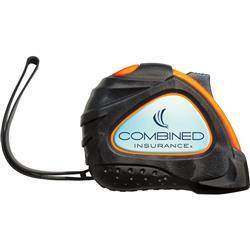 16' foot pull and press to lock tape measure with domed decal has a comfortable rubberized finish. Built-in belt clip and wrist strap. Measuring tape is 1" scale with 1/16" increments. 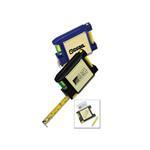 A great promotional item for those in construction and home improvement. 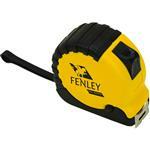 This is a quality tape measure with your custom logo.